Bi-injection mould with the rotation system made the molding of dual-color product fast and simply. Our brother company Dakumar Machinery ( www.dakumar.com )also can offer the two colours rotary injection moulding machines. 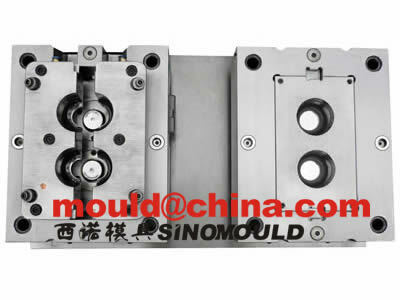 Please kindly see the videos of the bi injection moulds which we have made. We have Bi-injection moulding machines in our workshop which are especially for moulds testing, we can offer you the bi-injection moulding service, can consider the mould invested by us.